established in the 19th century but are still valid today. will continue with the practice of maintaining the 250 cfs release rate. are based on this implicit understanding. to supply the hydropower companies. low, below that which is usable for many of the residents. Manchester, Derry, Merrimack and Nashua. pop boards off of docks as the waves pass. 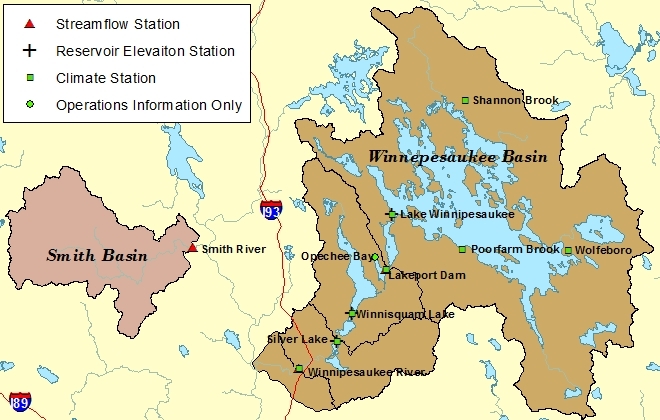 the lake can be expected to drop 0.02� or about a quarter inch per day. stored from the spring runoff. of the summer and into the early fall. to lower it by releasing water. and the user is cautioned to use it at his/her own risk.